For years, school finance reform has been a messy political challenge that Gov. 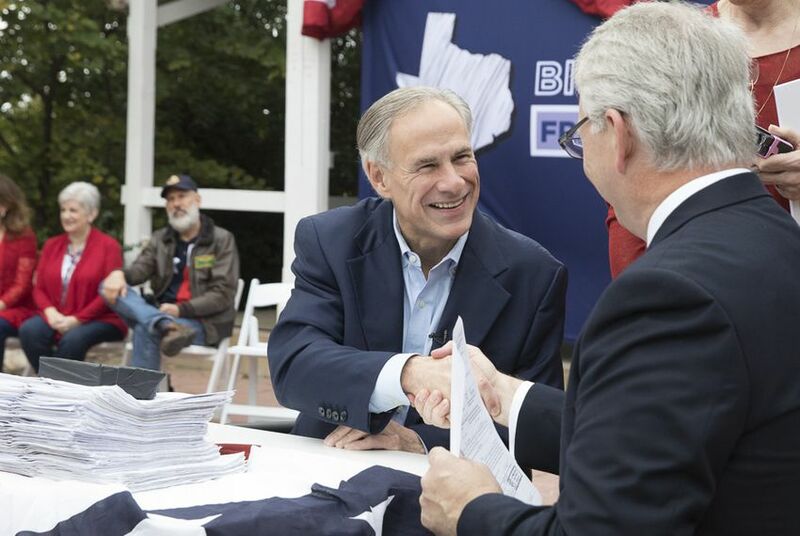 Greg Abbott has been reluctant to wade into. But an 86-page slide show titled “Improving Student Outcomes and Maintaining Affordability through Comprehensive Education and Tax Reforms” and obtained by The Texas Tribune indicates that may change this year, and his office has generated specific ideas for how to simultaneously improve outcomes for students and cut back Texans' skyrocketing property tax bills. It also references rewarding school districts that meet certain state targets in outcomes for students, especially those who are economically disadvantaged. The most detailed section of the presentation proposes capping at 2.5 percent the increase in local property tax revenue school districts can collect per year, ultimately causing tax rates to decline. The state has increasingly relied on local property taxes to fund public education, and decreased its own share. The Texas Education Agency this year projected a $3.5 billion drop in the state's general revenue for public education over the next couple of years, because local property taxes are expected to increase. Any loss of money districts see as a result of the governor's proposed cap would be made up by state revenue, though it does not say specifically where that money would come from. This is all well and good. Capping local property tax revenue is a very good idea, and is consistent with the TPPF plan. Incentivizing positive student outcomes is likewise a good idea. Furthermore, there's probably room within this proposal for Abbott's teacher pay proposal. But there's one missing element that's critical for any school finance reform effort: There's needs to be a floor that states at least 60% of all state funds need to be spent on classroom instruction. By all means, let's have the state pick up a bigger share of the tab. But Texas taxpayers need to fund actual education, not bureaucrats. One of Abbott's more commendable traits is that he has consistently understood the difference between teachers and bureaucrats. Thus, we suspect Abbott would fully support this policy. But it needs to happen. Bottom Line: Add this one element to Abbott's proposal, and you start of have the outline of a seriously good reform.